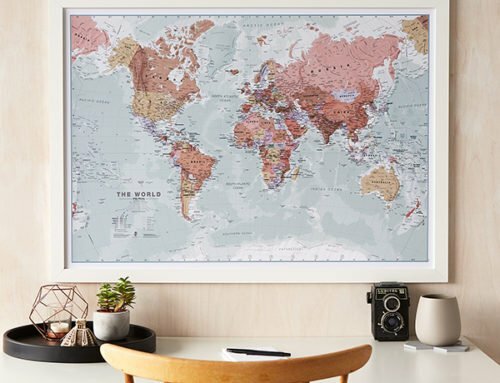 Plan your dream romantic getaway together or relive a special travel memory with these stunning, personalised maps, perfect for a Valentine’s Day gift. 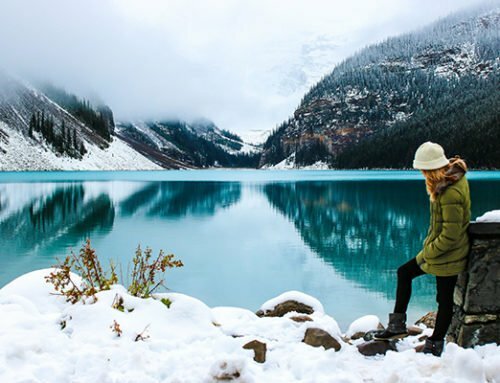 Do you and your partner dream of travelling the world together? 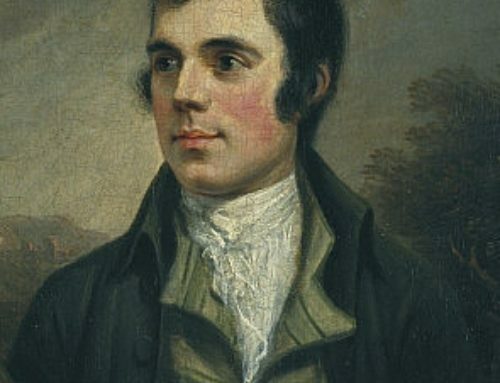 You may want to read our blog suggesting how to make travel plans that are fun and memorable for Valentine’s Day. Or perhaps you’ve already been somewhere with them, and want to surprise them with a beautiful keepsake of the adventures you’ve shared? 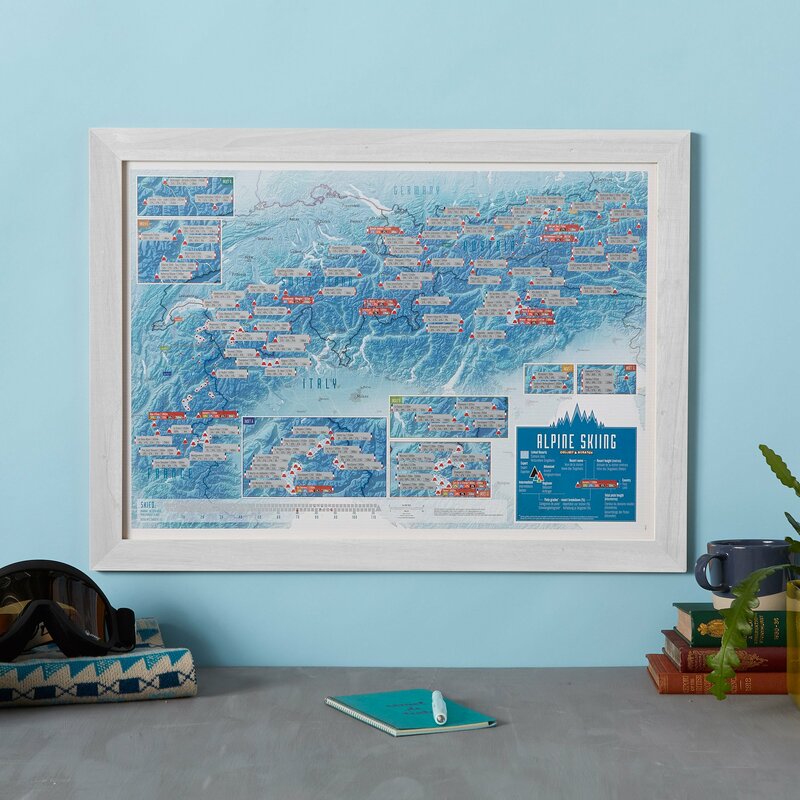 These unique, personalised gifts and beautiful map prints bring travel plans and memories to life. 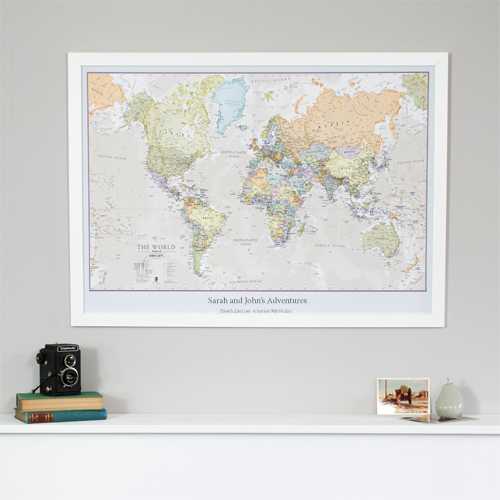 Our best-selling ‘Scratch the World®’ print allows you to scratch off every destination as you go and is the perfect way to plan out that trip of a lifetime, or to spend an evening with a glass of wine, scratching off everywhere you and your partner have already visited together to reveal a colourful, detailed world map print underneath. 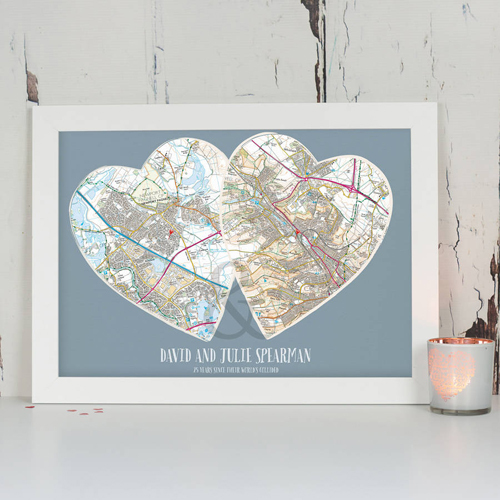 For a truly personal and unique gift that means something special, these postcode maps are ideal. 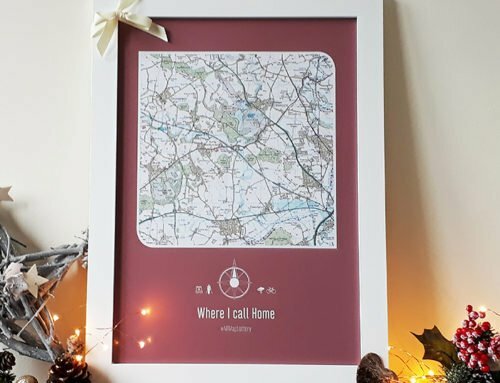 Feature the place you met, where he proposed, your first home together, or where you got married with a colourful map print and add a personal message. 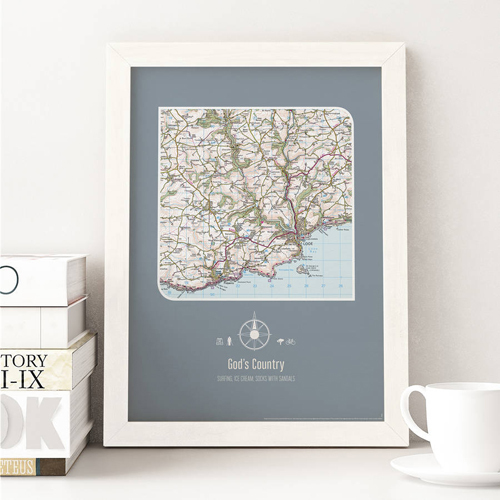 These maps are available for any UK postcode with the exception of the Channel Islands or Northern Ireland, unfortunately. 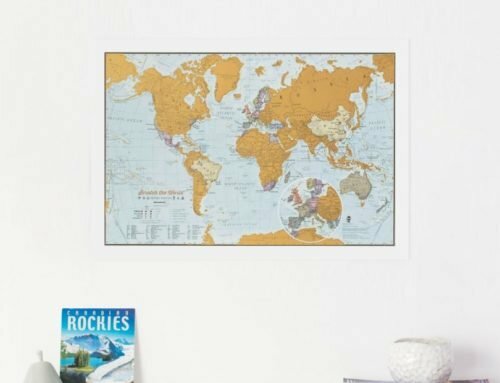 Our wide range of personalised wall maps are the perfect romantic gesture for any travel enthusiast, enabling them to map out and show off their adventures in their home, as well as plan their next getaway. 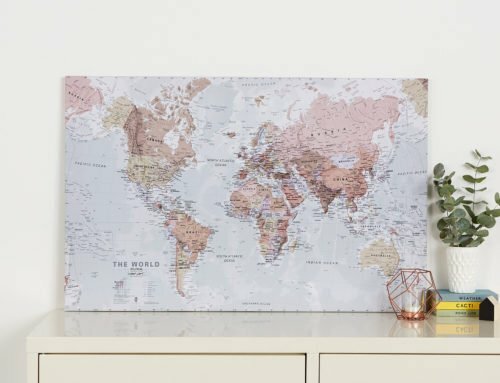 Our personalised ‘World is Art’ map range comes in a choice of colours and sizes, with the option to add your own special message – perfect for a big Valentine’s Day reveal! 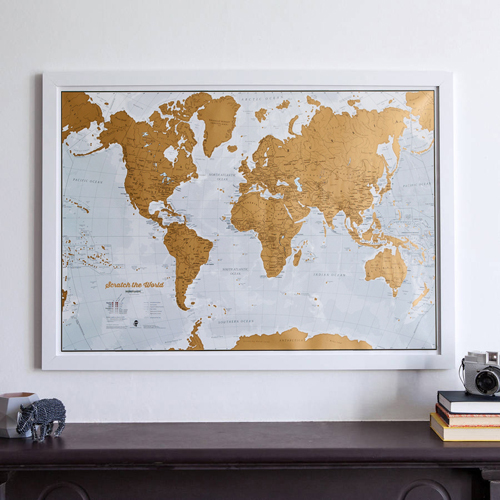 Of course, if you’re more of a traditionalist, pick our Personalised Classic World Map Print, with colours that will melt their heart and really pop on your wall! 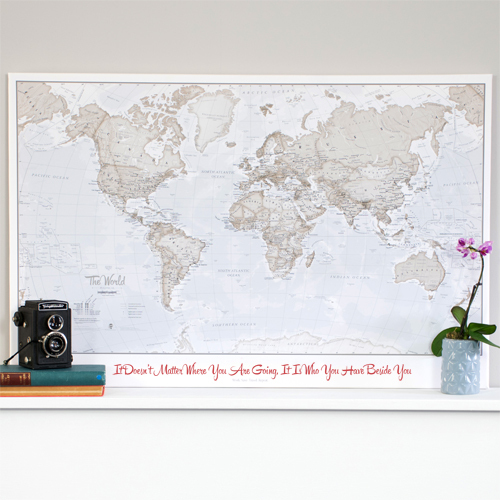 No romantic gift says “I want to explore the world with you” quite like a map!